We are FREAKING OUT! In a GOOD way! 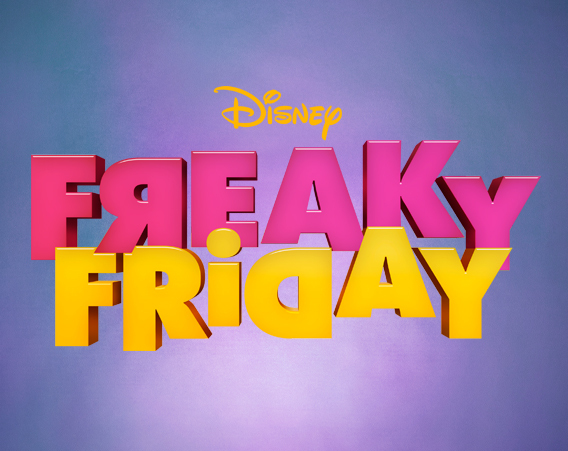 This month we are partnering up with Disney Channel to celebrate the world premiere of their newest original movie, Freaky Friday, coming Friday, August 10th at 8P to Disney Channel! What happens when a mother and daughter go head to head in each other’s shoes?! Get ready to see life from a whole new perspective in this family musical extravaganza! Ellie is a 16-year-old attempting to assert her independence from her mom, Katherine, a mother struggling to understand her stubborn teenage daughter. When Katherine won’t let Ellie participate in the school’s all-night scavenger hunt, a heated confrontation leaves both women wishing that the other would change their ways. The mother and daughter magically swap bodies through the power of an hourglass which then accidentally shatters. Now, they must hunt down the matching hourglass in order to switch back before it’s too late! Check out the trailer and get more information here: http://disneynow.go.com/. Inside Kidstir’s August Sandwich Shop kit, subscribers will find three easy lunchtime recipes, two handy cooking tools, a fun pack of stickers, plus a fourth cooking project, courtesy of Disney Channel. Look for the Kidstir Parm Pop! recipe to add to your cookbook binder, along with a packet of whole grain popcorn, a paper bag and napkins. With this healthy recipe, you can teach your kids to skip the store-bought microwave popcorn (which has trans fat and artificial flavors) and pop their own tasty popcorn instead. Enjoy your delicious, wholesome popcorn while watching Freaky Friday on Friday, August 10 at 8P on the Disney Channel! This is the good clean family fun we all need to get us through the final days of summer. Happy popping! Freak out! Next post: Are All Kids Picky Eaters?